Spring is the perfect time to update your wardrobe with lighter colors and designs. Colorful flats are a great addition to any outfit. With a pretty pair of flats, you can look nice wearing anything. Since the spring season symbolizes new life, I always celebrate in a special way, especially because my daughters were born in the spring. One of the best ways that I’ve celebrated this year is by getting matching flats from Nene shoes. We wore these shoes on several family outings, and we even put these shoes to the ultimate test when Samantha scaled a 25 foot wall in them. If my kids would be willing to match me into their twenties, I would let them. It’s really cute when families dress the same. 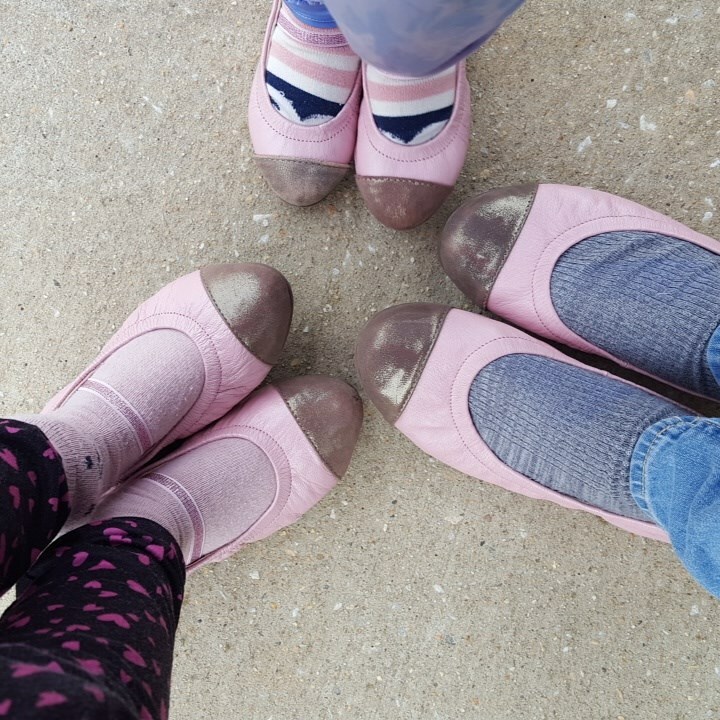 One company that specializes in matching mom and daughter shoes is Nene Shoes, who sent me the pink Emma Flats for me and my two daughters. Samantha and Georgiana were enamored with the shoes. The pastel pink coloring was very pretty. These shoes went with every outfit Samantha and Georgiana had. The girls couldn’t wait to pair the shoes with jeans, leggings, skirts, and dresses. Even though the girls began to try the shoes out during the snowy winter, they were excited to wear the shoes to the store, to dance class, and to school. Luckily, the shoes went fine with light colored socks, so I could keep both of them warm. For me, I found that the shoes went best with jeans. Having a casual pair of flats is convenient year round. The shoes can dress up a pair of jeans well for different occasions. I also wore the flats on a nicer occasion, pairing them with brown leggings, a brown pencil skirt, a neutral top, and a beige cardigan. Wearing pink shoes with neutral colors looked professional. Adding a bit of color gave my outfit some personality. 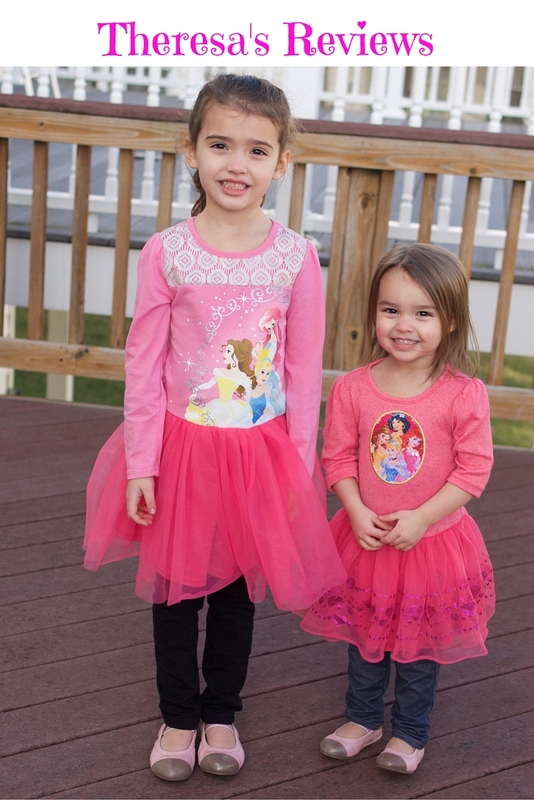 My daughters were excited to make their entire outfits look identical. They wore the shoes with matching princess dresses. Wearing the same clothes was so much fun for these sisters. I haven’t collected a lot of matching items for my daughters, so this was a fun novelty for them. I especially liked how perfectly the shoes fit my younger daughter. Flats are simple to toss on a toddler when we’re heading out the door. She loved how pretty the shoes look, while I noticed how comfortable the shoes were on her. Throughout the winter, Georgiana wore these shoes to her mommy and me dance class. The shoes looked great. When you’re in a hurry, flats are simple to get on a toddler. She loved how pretty the shoes look, while I noticed how comfortable the shoes were on her. Throughout the winter, Georgiana wore these shoes to her mommy and me dance class. The shoes looked great. When Samantha came to observe the class, all three of us wore the shoes for the special occasion. We even got a compliment from the teacher for our shoes! 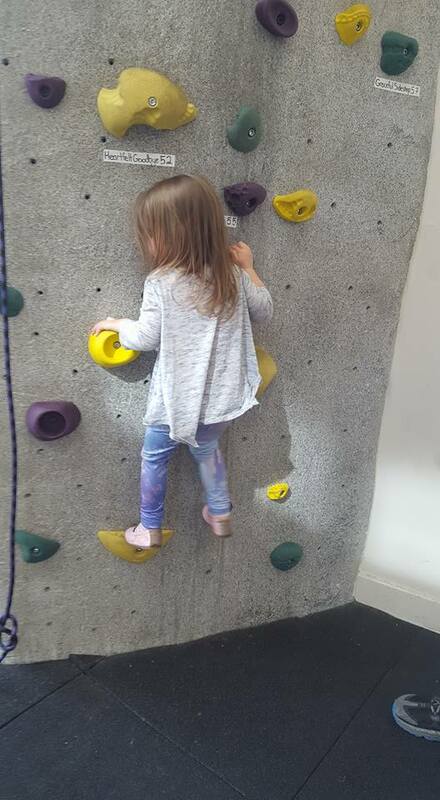 After our family dance class, our plans were to head to the community center so Samantha could go rock climbing for the first time ever. When we arrived at Georgiana’s dance class, we realized there was a problem. Georgiana had designed the outfit Samantha was allowed to wear to observe her dance class. Although the outfit was pretty for a dancer, it was questionable for a serious rock climber. When I realized Samantha was wearing flats, I reconsidered letting her go rock climbing. Samantha completely proved me wrong. 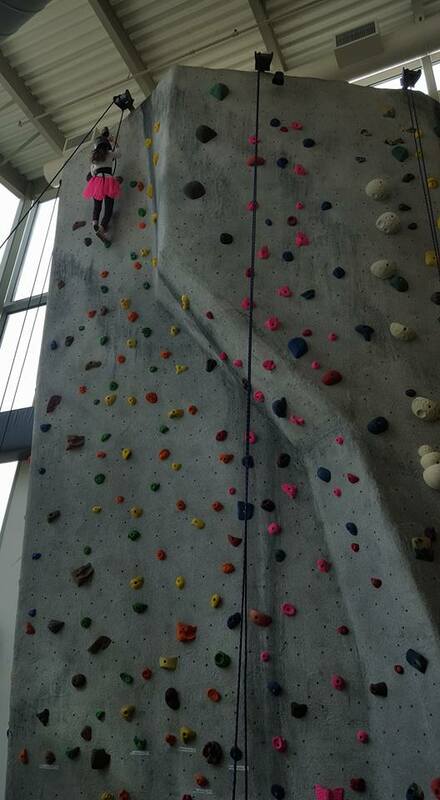 She climbed to the top of the rock climbing wall three times! I was never brave enough to go rock climbing when I was five, so I was super proud. I was also really impressed that wearing flats was not a disadvantage at all. The shoes fit so well that having an active, adventurous lifestyle was still possible, even while looking adorable. Not one to be outdone by her older sister, Georgiana begged to go rock climbing the whole time we were there. I explained the 5 and up rule again and again, but it didn’t satisfy her. Most of the time, she was really patient and kind, cheering her sister on, while watching with excitement. Right before we left, as we helped Samantha get her gear off, we spotted Georgiana attempting to scale the wall in her Nene flats. She is quite a spirited child, and she was able to successfully show her adventurous side while wearing these shoes. These shoes are wonderful for any occasion. Clearly, you can wear them to look nice, but they are great for so much more. We got so many compliments going out wearing matching shoes. It was a fun experience for the whole family. Matching shoes are an adorable gift idea for Mother’s Day, so if you’re thinking ahead, buy a few pairs as presents. As a mom, I love matching my girls. It’s one of the best things about having daughters. This summer, I can’t wait to get more use out of these fun shoes. To learn more, check out the company on Facebook and Instagram. 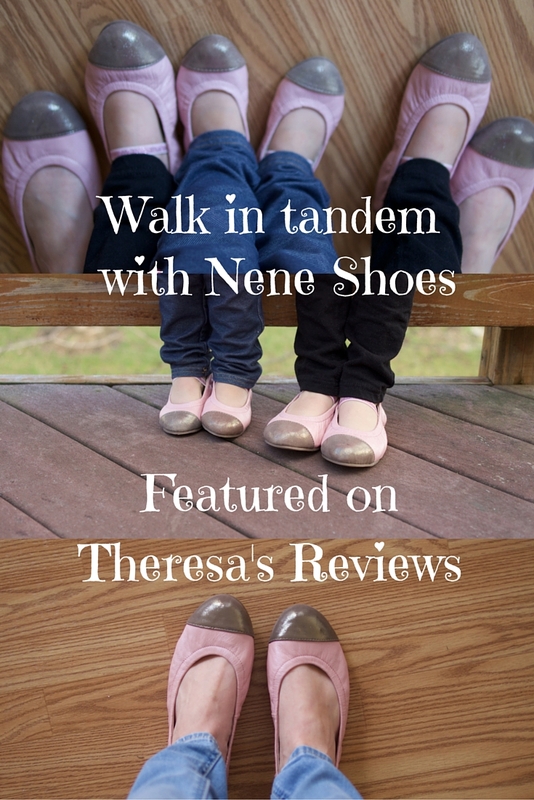 Enter to win a gift card to Nene shoes! Visit this giveaway I’m hosting to earn the chance to win a $50 gift card. Every person who enters earns a $15 coupon code! This giveaway is open from March 18th to March 22th at midnight, and the winner will be announced soon after. What absolutely adorable shoes!!! My 7-year-old would love those!!!! Thank you for blogging about these. I have never heard of these shoes before!!! Very cute shoes! My 6 year old loves pink! I have 2 girls, ages 2 &4. These shoes look like the perfect combination of style and ruggedness. Adorable! Oh my goodness! My girls would love these! I’d love to try these! Looks wonderful – always looking for good shoes for my girls and I love flats! My Granddaughter will flip for a pair of shoes from Nene. How adorable are these? I’ve entered the giveaway! One cutest shoes ever!!!!! My little girl so needs a pair! Sounds like a really pretty comfortable flat to wear with many outfits. those shoes are adorable! I love the rock climbing wall too!! Oh my goodness, those are so cute! I love that you got all matching pairs for you and your girls! I love the spring colors and spring is on its way~! Cute shoes! They look comfy as well. These are so cute.I know my wife , daughter , and granddaughters would love them.Shared on FB and Twitter. Those look like SUPER comfortable shoes!